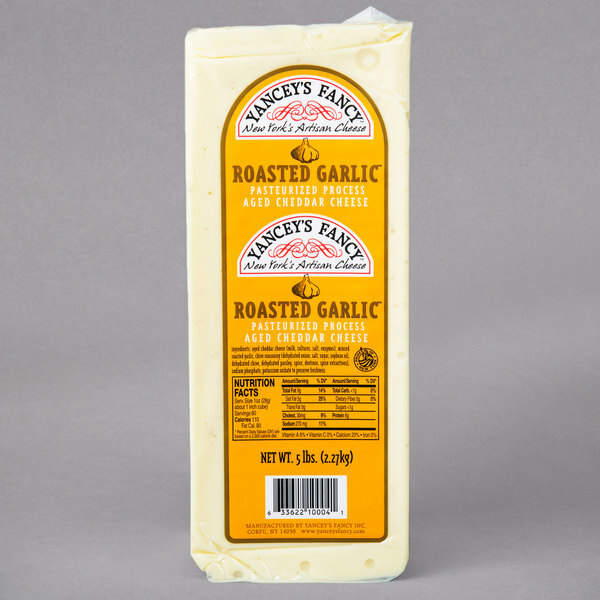 Exceed any cheese-lovers expectations with the handcrafted taste of this Yancey's Fancy 5 lb. roasted garlic flavored New York cheddar cheese. One of New York's finest artisan cheeses, this aged cheddar cheese features a sharp cheddar with bits of minced garlic and chive seasoning packed throughout for a cheese bursting in deliciously rich flavor. Great for melting, use this cheese to artfully craft mouthwatering grilled chicken sandwiches and paninis, signature pasta dishes, or create a delectable cheese sauce as an appetizer for the entire table to share. You can even use this cheese to serve with your steamed or roasted vegetables, or to serve up flavorful omelets. When using to build a five-star charcuterie or cheese board, this cheese is best served with a dry or sweet riesling. 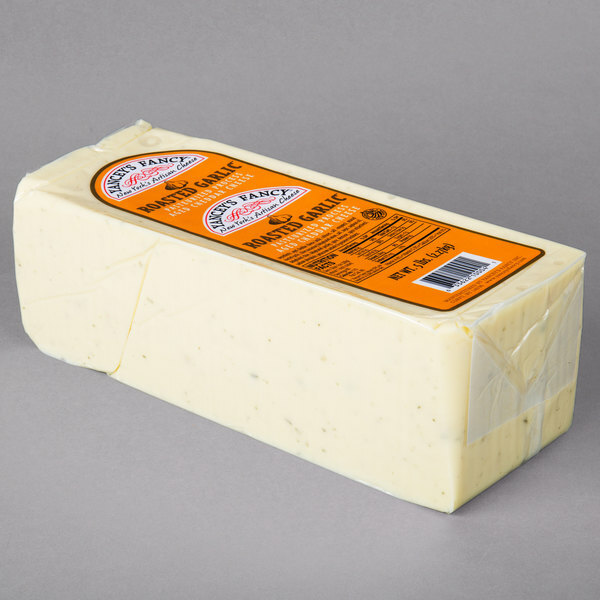 This pasteurized process cheddar cheese is handcrafted from skilled cheese makers and contains no added powders or fillers, ensuring a natural, fresh taste. 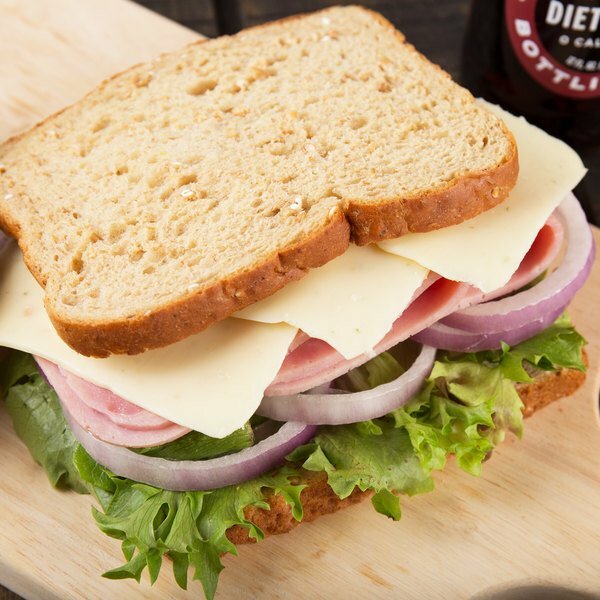 It has a semi-hard consistency that can be cut into cubes, chunks, or sliced thin for sandwiches. It also has great meltability, allowing you to create a variety of unique culinary creations for your menu. Whether it's used as a topping, garnish, or a standalone snack, this roasted garlic flavored cheddar cheese is sure to be a crowd pleaser. When it comes to artisan cheeses, Yancey's Fancy New York artisan cheese consistently stands out among the rest. Beginning in 1947 with an already established history in artisan cheese making, Yancey's Fancy specializes in flavored cheddar cheese and European-style cheeses. 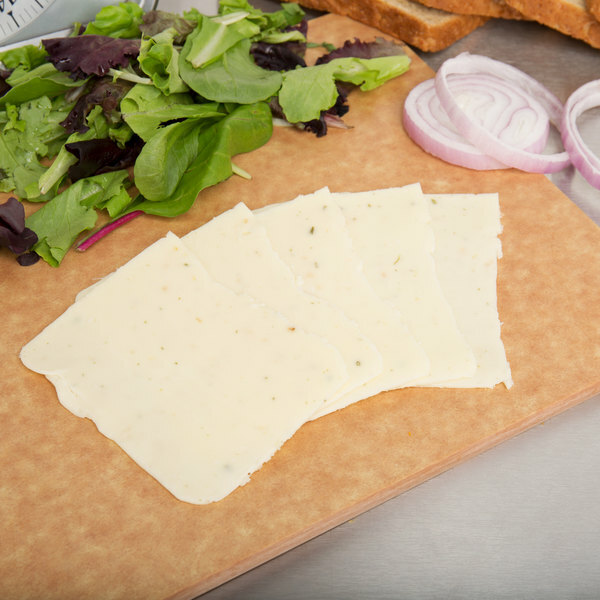 Committed to innovation in the cheese-making industry, it combines traditional cheese making methods with non-traditional cheese making ingredients to produce flavors unlike anyone had ever tasted before. Offering a flavor for every customer, upscale and transform your establishment's menu with Yancey's Fancy cheese!